This fresh herbal tincture contains extracts of Euphrasia (Eyebright) for internal use. It is a plant native to Britain and Europe, which grows to a height of 30cm and bears pale lilac flowers. It has been used as far back as the 17th Century in healthcare. Alfred Vogel knew it as a wild plant which enjoys living in grassland, drawing nutrients from its companion plants. Collected in late summer, the aerial parts are used to create this remedy. Tincture of fresh Euphrasia officinalis (Eyebright) herb, extracted in alcohol (65% v/v). 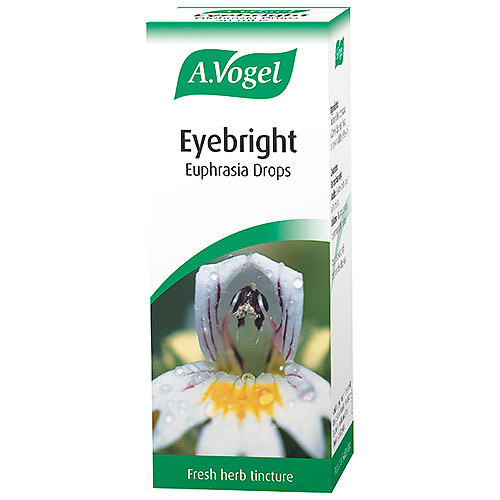 Below are reviews of A Vogel Eyebright Euphrasia Drops - 50ml by bodykind customers. If you have tried this product we'd love to hear what you think so please leave a review.